You could say the biggest trend in luxury expedition cruises is that, well, it's such a trend. Between 2016 and 2017 alone, 12 new expedition ships have been ordered -- the majority in the luxury category -- and several existing luxury ships have gone "expedition" via renovation. Jack Ezon of Ovation Travel, which caters exclusively to high-end travelers, says business for luxury expedition cruses has grown 22 percent in the last three years, a growth he attributes to three main drivers: the dawn of luxury products in the expedition cruise category; shorter itineraries that are attractive to a younger audience and others with limited time off; and climate change, which has created a sense of urgency to see places, before it's too late. Pairing luxury with adventure at sea was a concept started by the French cruise line Ponant in 1988 -- still considered the leader in the field. 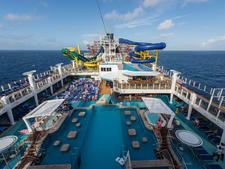 But in recent years, as small ship (as in river) cruising has become more popular, adventure travel has also expanded. With well-traveled boomers looking for new experiences and frontiers, the luxury expedition cruise experience has caught on. 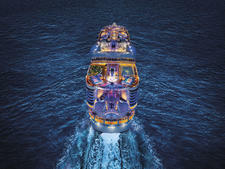 It's also drawing first-timer cruisers who were never attracted to the traditional cruise concept. Cruising to explore new parts of the world, exploring by Zodiac craft and kayaks, or even helicopters and submarines, then returning -- mud on your boots, exhausted from hiking a glacier or kayaking among seals in the Galapagos -- to a glass of Champagne or a massage at the spa. What sets these cruises apart from other expedition cruises is the five- or six-star service, the high ratio of crew to passengers, the personal service and the lavish amenities, from Veuve-Clicquot Champagne served in Baccarat glasses to bath amenities from purveyors like L'Occitane, Aveda, Hermes, and linens from Matouk and Sferra. While the competition increases, and more and more cruise lines enter this niche market, the lines can get a little blurry; after all, everyone's got their own definition of luxury -- not to mention adventure. The hallmark of true expedition is all about going deeper into a destination, through activities and opportunities ashore, as well as through expedition leaders -- rather than cruise directors -- onboard. Here are some of the trends we're seeing in luxury expedition cruising. While Lindblad was the first company to introduce tourists to the concept of expedition cruising, Ponant was the first to marry luxury with what was traditionally a basic travel experience. Today, both established luxury lines including Silversea and Crystal, and new ones like Scenic are getting into this lucrative niche market. While they share certain hallmarks of an expedition cruise -- Zodiacs and an expedition team (as opposed to the standard ship crew), for example -- they also layer on both physical luxuries, as well as thoughtful and attentive services that kick the entire experience up a notch. 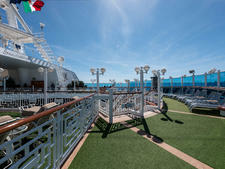 As an example, Scenic has thoughtfully included a "mud room" on Eclipse so cruisers can don gear on the way out or clean up upon return; the ship also features e-bikes. Silversea is going big on the human element, creating a leadership training academy to recruit and develop high-quality talent for its expedition teams -- which are made up of at least 18 members per sailing. As for the physical accommodations, luxury expedition cruise companies keep their ships small and their passenger counts down; most offer all-suite or all-veranda ships. Ponant's new ships, for instance, will offer only 92 cabins -- all with verandas -- compared with its current polar fleet, which has either 132 or 122 cabins. Scenic Eclipse will have some of the largest suites in the expedition cruise sector when it launches in 2018, with rooms ranging from 344 square feet to the 2,507-square-foot, Owners Penthouse Suites. It, along with Silversea, will offer butler service for all passengers. Scenic Eclipse will also feature the 5,900-square-foot Spa Sanctuary, with indoor and outdoor pools, Jacuzzis, Pilates and yoga studios. Crystal's Endeavor, which launches in August 2019, will carry 200 passengers and surpass all the current luxury cruise ships in cabin size, with rooms starting at 400 square feet, up to 3,120 square feet (including the 1,507-square-foot balcony) for each of the two Owner's Suites. Luxury expedition cruises are appealing to a whole new wave of travelers. 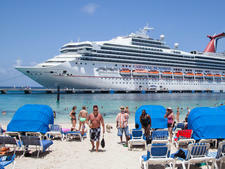 Almost half are first-timer cruisers, many of whom were turned off to cruising by the mega-ship image of herds of people and frivolous fun. Others are adventurers, who see these cruises as the only way to access the remote places they've always wanted to explore. And they're also "skewing younger," according to Beth Butzlaff, vice president, cruise sales, at Virtuoso, the luxury travel adviser network. 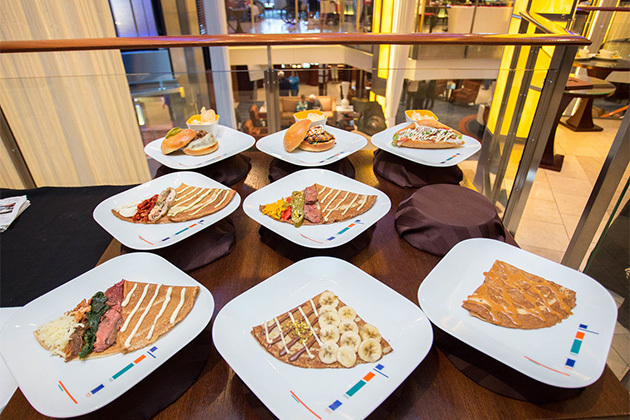 Luxury expedition cruises push all the right buttons for the millennial concept of travel: experiential, culinary, Instagrammable. At Silversea, for instance, passengers on the line's classic luxury ships might be as young as about 50; on its expedition ships, they're booking customers in their 30s. They're also a magnet for family and multigenerational groups (millennials are often part of the "grandparents are paying" trend). Silversea notes that its Galapagos itineraries aboard the Silver Galapagos are especially popular with families and Virtuoso's Butzlaff says many family groups charter entire luxury expedition boats for reunions and other events (this is, remember, luxury travel). Much is being made of the high-tech "toys" that are popping up on more and more luxury expedition vessels. And they certainly are headline-catching: Scenic Eclipse will feature two seven-seat helicopters and a custom-built six-passenger submarine -- along with custom-built kayaks, Zodiacs and dive gear onboard. Crystal's first polar-class mega-yacht, Crystal Endeavor, will have two helicopters and two seven-person submarines, the requisite kayaks, Zodiacs and dive gear, plus a recompression chamber, a multi-person all-terrain vehicle (ATV), a SEABOB underwater scooter and a Remote Operated Vehicle to see underwater wrecks. While the big-ticket toys are certainly good for one-upmanship, not to mention high-end fun, they also are key to enhancing the immersive (literally, in the case of those submarines) and exploratory nature of expedition cruising. Ponant's new Blue Eye Lounges on its four new ships coming out between 2018 and 2019 are another route to immersion. The lounges, built into the ship's hull, 8 feet below water level will offer passengers the opportunity to experience the underwater wonders, in a multisensory way: Not only will they be able to see it through windows and hear it through special acoustic instruments, but they'll feel it through "Body Listening Sofas" that vibrate in tandem with the acoustical waves. Cutting-edge technology isn't just about toys. The luxury expedition ships of the next few years are safer and more ecologically friendly than ever before. All new-builds, for instance, will use the latest "zero speed stabilizers," results in ships that remain steady in the water, even when at a standstill, which makes boarding Zodiacs and kayaks easier, as well as keeping mal de mer at bay aboard ship. Scenic is a standout in this area, incorporating custom-designed stabilizers and fins that are 50 percent larger than standard, cutting 90 percent of the roll commonly felt on ships both big and small. Scenic -- which won an award in 2017 for cruise ship design, also placed part of its propulsion system at the front of the ship, a unique design that enables its propellers to also act as ice-breakers. Technology is also enabling luxury expedition cruise lines to be more environmentally friendly. The new ships boast positioning systems and stabilizers that enable them to stay in one place without dropping anchor -- avoiding possible damage to sensitive reef beds. And they feature the latest in wastewater processing and recycling. Ponant has been especially proactive on the green front. Its current four-ship polar fleet has earned the Cleanship label from Bureau Veritas, an international standards organization, for its innovative green equipment, citing its systems for silent and fuel-efficient electronic propulsion; FarSounder sonar for providing 3D vision of the sea bed; and diesel engines that can run on lighter, less-polluting MDO (Marine Diesel Oil); low-energy bulbs for lighting; and sustainable practices within the regions they visit. Look for more cutting edge "green" factors on the expedition ships of the future, such as LNG (liquefied natural gas), a clean-burning fuel source and hybrid energy systems as they are perfected and become more economically viable. You'll find luxury expedition cruise lines pushing the envelope on exotic destinations these days. Adding previously inaccessible and unexplored destinations -- near and far -- is one way that luxury expedition cruise lines are seeking to stand out. The possibilities are vastly extended, thanks in part to the new onboard toys such as the helicopters mentioned above that can provide access further inland or afield, efficiently and without hassle. Next year in Antarctica, Scenic will take advantage of the two helicopters on Scenic Eclipse to whisk passengers on a 45-minute flight to parts of this polar region no other cruise passenger has ever visited. And, it's no longer just Antarctica, but Antarctica and the Falklands, South Georgia Island and more. Cruise lines are coming up with new "only us" itineraries -- Ponant offers hiking on Neko Island, for instance, one of the few places where visitors can actually trek. One of the hottest new expedition cruise destinations is the Kimberley coast in northern Australia, one of the most remote and isolated regions on earth. It's a recent addition to the Ponant catalog, along with New Caledonia and the Scattered Islands. With its new ships, debuting in 2018 and 2019, it will offer itineraries on all seven continents. A surprising trend in luxury expedition cruising is that traditional cruise ports in Europe are also on the operators' radar. What differentiates their visits to these ports, however, is the level of immersion provided to guests, creating, in essence, cultural expeditions. Scenic Eclipse's first sailings will be from Athens to Venice, but passengers will see this part of the world in new ways through stops in smaller villages, and with more active immersive excursions. For instance, from Dubrovnik, cruisers can explore Lokrum island by kayak; and a kayak circumnavigation of the small volcanic island of Staffa is offered on Scenic's Discover the British Isles itinerary. The New World is also in the expeditionary crosshairs. Silversea's Americas' Pacific Coast sailings will include itineraries between Vancouver and San Diego that include small sea villages on Anacortes and Cypress Island, as well as visits to Mount St. Helens and an exploration of the locavore scene in San Francisco. And Ponant is planning a Great Lakes expedition for 2019; its expedition leaders are currently studying the undersea environment to see what mysteries lie beneath.